In what was actually a bit of a secret, pleasantly surprising demeanor for the notoriously loose-lipped competitive Counter-Strike community, this afternoon fans have been treated to some of the specifics regarding a recently signaled NA roster shuffle. In a statement from esports organization Cloud9, RUSH and tarik have been acquired from OpTic Gaming. The team has consequently moved shroud and n0thing, long time staples of the C9 CS:GO squad, from the active roster onto the bench. 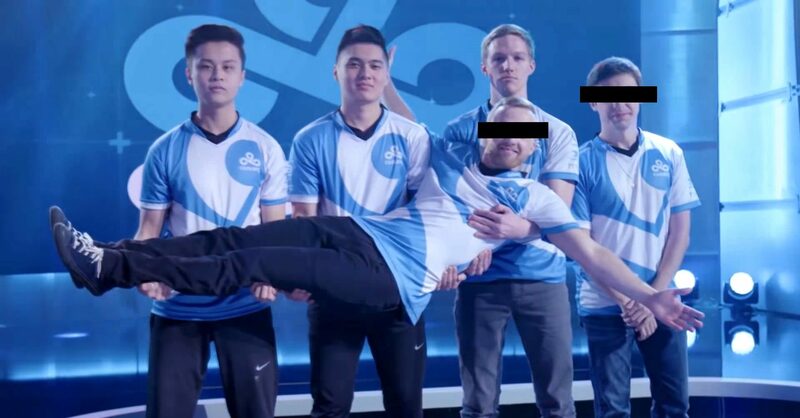 Things have been on the up for Cloud9 since their inclusion of Stewie2K back in January of last year, and autimatic roughly seven months later. Both RUSH and tarik are expected to see action in this weekend’s upcoming ESL New York qualifier. Now that OpTic has been pruned, many will look to the other major players in the North American scene to make their own changes following Cloud9’s acquisition announcement. With the ex-iBuyPower players having been welcomed back into polite society by ESL, and reports that EliGE is setting up to depart Liquid, it will be interesting to see where everything settles over the coming weeks. If you want to read Stewie’s goodbye note to his former squad mates you can do so here. Otherwise, I leave you with the flashbang dance; Wu-Tang forever, Jordan.